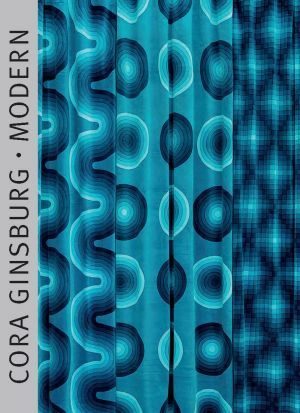 The Cora Ginsburg catalogue has been published annually since 1995. It reflects the gallery's extensive inventory and features a range of historic and modern textiles, dress, and objects dating from the seventeenth to the mid-twentieth century from Western Europe, the United States and Asia. Since 2016 the gallery publishes a second catalogue titled Modern, which focuses on 20th century textiles, accessories and fashion. Many of the pieces illustrated in the catalogues are now held in public and private collections. The Cora Ginsburg Gallery is based in New York.